Among the tens of thousands of drawings in Leonardo da Vinci’s 12-volume Codex Atlanticus at Milan’s Biblioteca Ambrosiana Library there is an image that remained in obscurity until recently. Among a far-ranging series of subjects, from anatomy to weaponry to musical instruments, mathematics and botany there is a sketch of a handbag that reflects Leonardo’s aesthetic for both beauty and functionality and his interest in fashion. Dated to about 1497, the designer handbag has been reinterpreted by Gherardini, a Florentine luxury leather goods company said to have Mona Lisa as part of their family tree. Fragmented drawings reassembled by Agnese Sabato and Alessandro Vezzosi, director of Museo Ideale , located in Vinci , Leonardo’s birthplace, were used to recreate the handbag. Named the “Pretiosa di Leonardo” (pretiosa meaning “precious” in Italian), the shape, according to Vezzosi recalls the lectern in “The Annunciation,” painted by Leonardo in the workshop of Verrocchio while rotating spirals, floral scrolls and foliage embellish the leather to create a purse that would surely have made a Renaissance fashionista’s heart flutter. What’s for Thanksgiving in Italy? Although Italians do not celebrate Thanksgiving Day, more restaurants are catering to the definitive American holiday with Italian inspired Thanksgiving feasts. 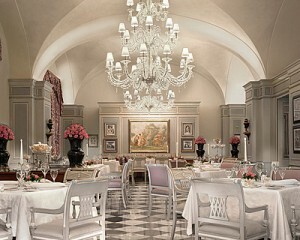 Thanksgiving Day menus in Italy range from the familar to the flamboyant as in this bountiful feast at Il Palagio Restaurant at the Four Seasons Hotel Firenze. If Japanese born, Italian-based designer Sono Mocci had lived in Italy during the 15th century he would have given Leonard da’Vinci some stiff competition as the ultimate Renaissance Man. Mocci’s creative designs are innovative, artistic and just plain brillant like his Ivy Bike Lock and PC Digital Skin . Inspired by the first modern-style thermometer invented by Ferdinando II de’ Medici, Grand Duke of Tuscany (circa 1654), Mocci re-thinks the concept with an innovative temperature measurement device that replaces mercury with red wine (liquid) . 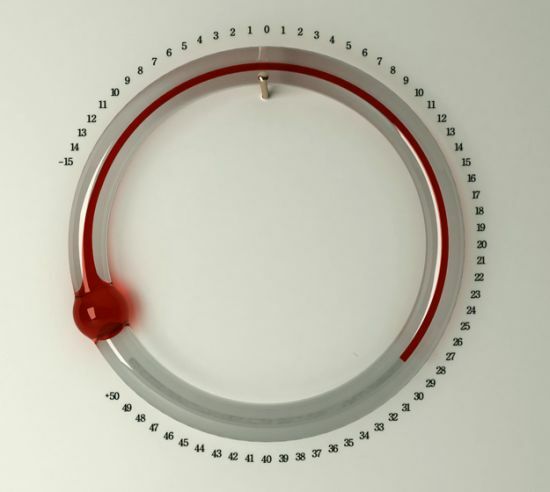 The Linea Rouge thermometer uses a circular column of red wine instead of mercury to measure the temperature through the rise and fall of the wine (alcohol) in the glass tube. Mocci surely would have found favor in the Medici court.